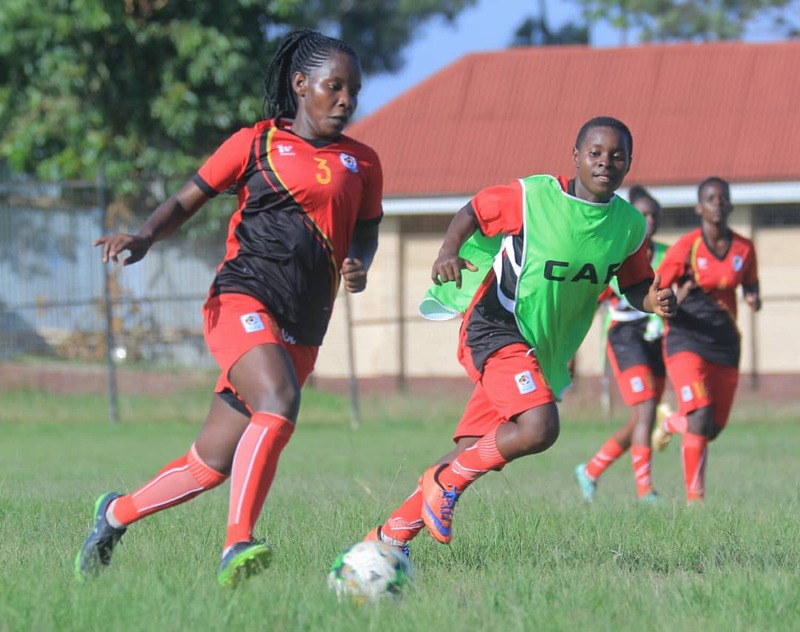 LUGOGO – The Uganda National Women football team, the Crested Cranes began preparations for the upcoming Regional tour on Thursday afternoon, ahead of their first ever regional tour. In their first ever tour game, Faridah Bulega’s side will take on a Kampala Regional Select side on Saturday at the StarTimes Stadium in Lugogo. On the first day of training, Bulega took her players through drills at the Luzira Prisons’ stadium. Of the 23 players summoned last week, 21 turned up for training. Lilian Mutuuzo and Resty Nanziri were not available but the coach confirmed they will join the rest of the team on Friday. The squad comprises of four goalkeepers, six defenders, eight midfielders and five strikers. The coach was impressed with the fitness levels of the players and believes the game on Saturday will be a good precursor ahead of the Tokyo 2020 Olympic Games qualifier against Ethiopia next month. “The girls are in good shape and the commitment from everyone on day one was positive, said Bulega. “I believe the game against Kampala region on Saturday will be a good build up ahead of the game against Ethiopia next month. The team will have a similar training session on Friday before the game on Saturday. Ruth Arturo (UCU Lady Cardinals), Vanessa Edith Karungi (She Corporate), Juliet Adeke (Kawempe Muslim Ladies), Daizy Nakaziro(Lady Doves). Shadia Nankya(Uganda Martys High School Lubaga), Aisha Namukisa(Kampala Queens), Wilmer Nantumbwe(She Corporate), Margaret Birabwa( Muteesa I Royal University), Phoebe Banura ( UCU Lady Cardinals), Viola Namuddu( Makerere University). Damalie Matama(Kampala Queens), Phiona Nabbumba ( Ajax Queens, Bulenga), Fauziah Najjemba( Isra Soccer Academy), Tracy Jones Akiror( Kawempe Muslim Ladies), Teddy Najjuma (UCU Lady Cardinals), Anita Namata (Kawempe Muslim Ladies), Shamira Nalujja( Isra Soccer Academy). Juliet Nalukenge (Kawempe Muslim Ladies), Monica Namwase (Kampala Queens), Zaina Namuleme (Kampala Queens), Hasifa Nassuna (UCU Lady Cardinals).